Gustav Adolph Michaelis – Physician, Researcher, Teacher. Prof. Gustav Adolph Michaelis (1798–1848), director of the Obstetric Hospital and the School of Midwifery at Kiel/Germany, is known as one of the founders of scientific obstetrics. In research and teaching he was oriented towards empirical data. His most important scientific work on the narrow pelvis sums up his experience as an obstetrician. Pelvimetry and the inspection of the so-called “Michaelis-rhomboid” predict the prognosis of the process of birth. He was a conscientious researcher: he self-critically published unsuccessful cases and thoroughly considered new theories. In Germany he was the first to prove Semmelweis' theory of the prophylaxis of puerperal sepsis to be true. When he realised that he had caused the death of so many women in childbirth, Michaelis was desperate and committed suicide in 1848. Prof. Gustav Adolph Michaelis (1798–1848), Direktor des Kieler Gebärhauses und der Hebammen-Lehranstalt, gilt als einer der Begründer der wissenschaftlichen Geburtsmedizin. Forschung und Lehre richtete er am empirisch Faßbaren aus. Sein Hauptwerk über das enge Becken summiert seine klinische Erfahrung als Geburtshelfer. Bestimmung der Beckenmaße und Inspektion der nach ihm benannten Michaelis-Raute lieferten ihm eine sichere Prognose über Risiken des Geburtsvorganges. Redlichkeit und Gewissenhaftigkeit zeichneten seine Forschung aus: Selbstkritisch publizierte er medizinische Mißerfolge, kritisch prüfte er neue Theorien. So bestätigte er als erster in Deutschland die Lehre von Semmelweis zur Prophylaxe des Puerperalfiebers. 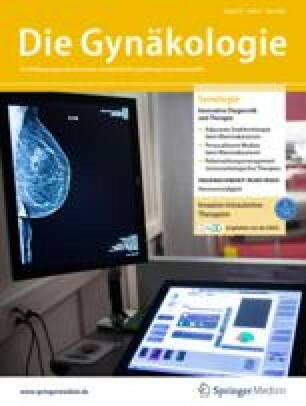 Aus Verzweiflung über den durch ihn mitverschuldeten Tod vieler Patientinnen im Kindbett wählte er 1848 den Freitod.